The front range of the Rocky Mountains is a rugged environment that poses unique water storage and distribution challenges for land managers, fire districts, ranchers, and residents. It was in response to these challenges that DARCO Inc., based in Colorado Springs CO, began supplying ruggedized tanker trucks and water storage tanks for rural fire suppression and pump truck testing to front range municipalities and fire districts. As population centers are widely spaced and few districts have municipal water supply lines capable of delivering the volume required to suppress fires, the need for large amounts of water storage in strategic locations was acute. In response to this need, DARCO focused on providing water supply solutions in the form of direct bury, fiberglass tanks ranging in volume from 15,000 gallons to industry leading 75,000 gallon tanks. 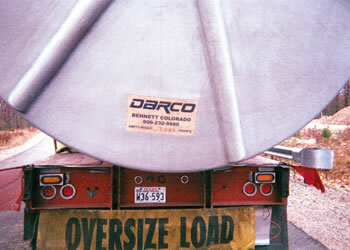 In addition to the larger direct bury fiberglass tanks, DARCO developed and patented a modular roto-molded polyethylene tank system called OcTank. 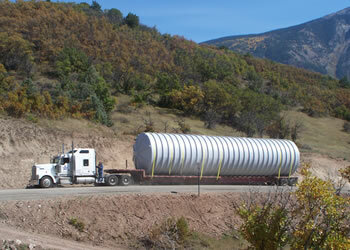 The OcTank division was subsequently sold to focus on further development and expansion of the fiberglass tank side of the business. These innovative and cost effective water storage solutions allowed DARCO to partner with municipalities and fire districts up and down the front range to provide on demand water storage capacity. DARCO has supplied tanks for various applications throughout the country such as agriculture, storm water retention, and fire suppression storage. These are just a handful of examples of the diversity of the DARCO product catalogue. We have supplied tanks for a wide range of projects such as schools and colleges, churches, hospitals, major retail stores, ranches, greenhouses, public safety training facilities, national parks, subdivisions, casinos and data centers, just to name a few. Some of our more recent applications consist of thermal reservoirs of heated and cooled water. These thermal batteries are designed to increase the efficiency of existing HVAC systems or supply the latest technology heat pumps being installed in new construction. Large arrays of tanks in a thermal battery bank can supply hundreds of thousands of BTU’s of thermal capacity in an environmentally responsible, aesthetically pleasing, and cost effective manner. After over three decades of business DARCO maintains its position as a reliable and respected supplier of water storage solutions throughout the western US and beyond. As water becomes an increasingly finite resource, DARCO is positioned to provide storage solutions and innovative applications to meet the needs of individuals, businesses and communities throughout the country. Please visit our website to view our project application and technical information and contact us for further information specific to your project.